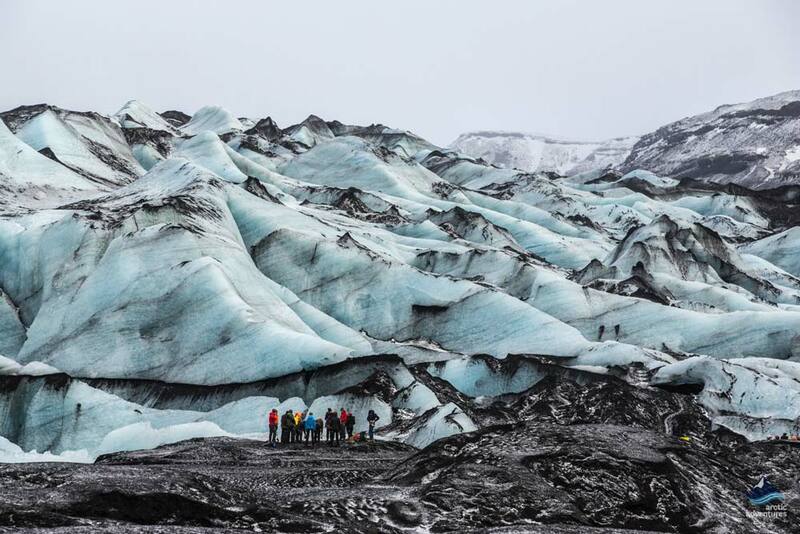 Meet us at the Sólheimajökull parking lot right off the Ring Road for a fantastic glacier hiking experience. 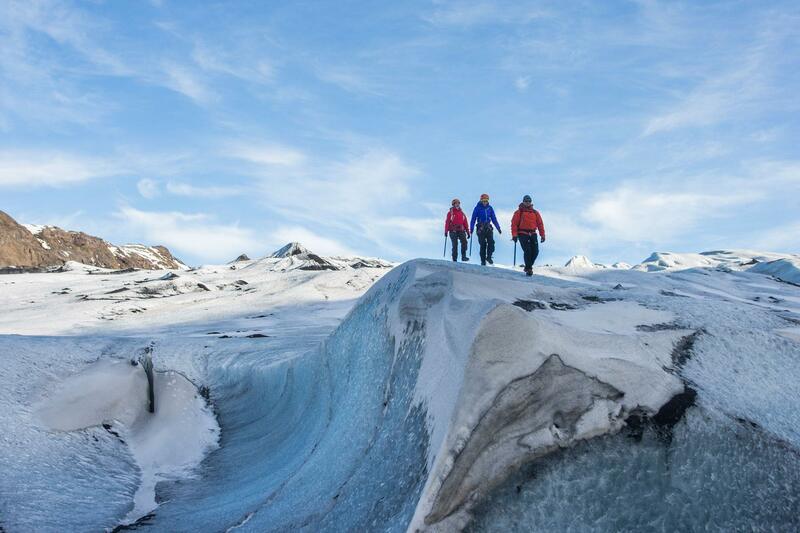 Put on your hiking boots and provided glacier gear and become a real adventurer when you join this memorable small group tour with an experienced glacier guide. 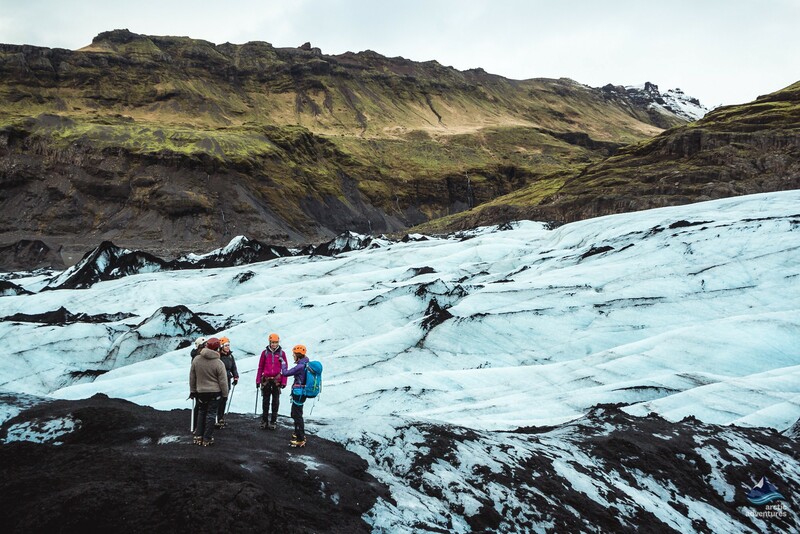 Sólheimajökull glacier is an outlet from the mighty Mýrdalsjökull and is surrounded by some of Iceland’s most grand volcanoes and during summertime, a glacier lagoon forms in front of the glacier only adding to the charm of the location. 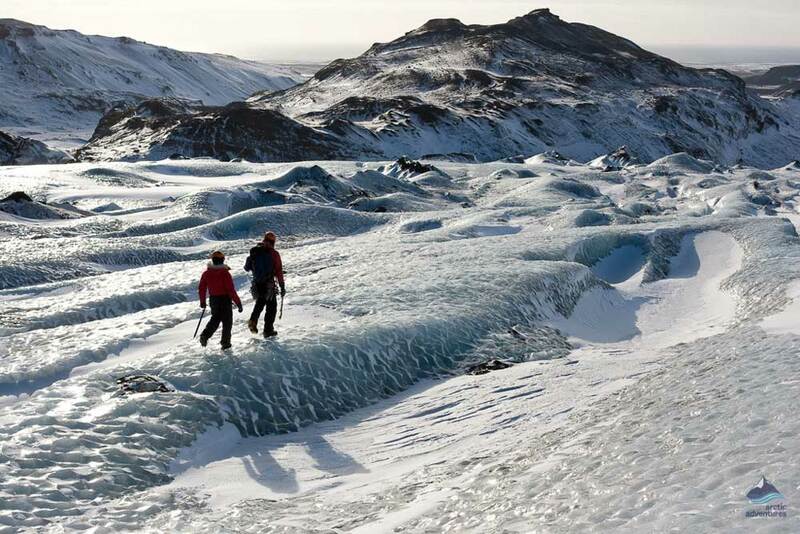 This popular day tour is the perfect way to get in real contact with the true reason behind the name Ice-land! 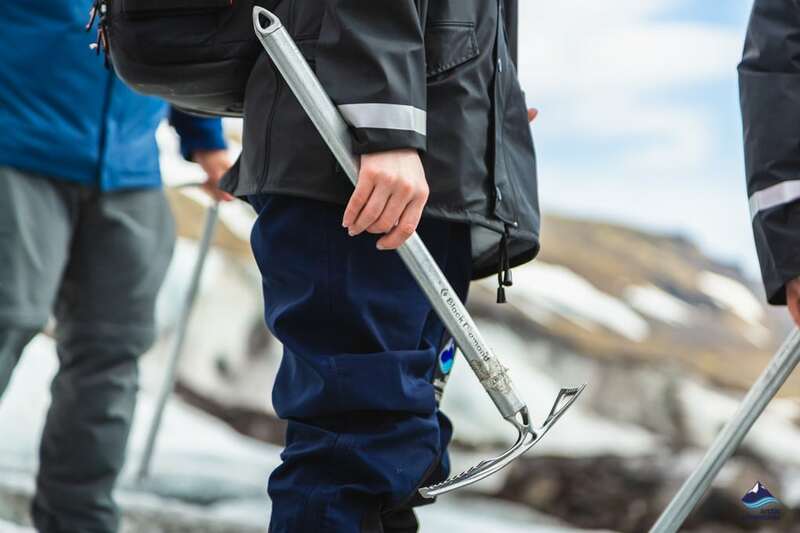 Your Glacier Experience tour starts with an introduction to the necessary glacier equipment provided in the tour and your expert guide going over the safety rules needed to explore the beautiful Sólheimajökull glacier. 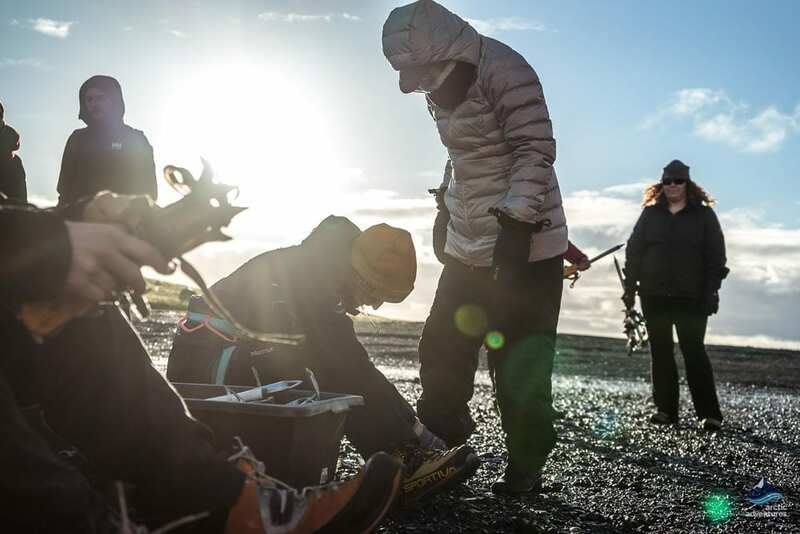 Then you will take off on a short but scenic walk across the pitch black volcanic ash and sands that lay in between the Sólheimajökull glacier and it’s parking lot. The ash and sand are from the volcanic eruption in Eyjafjallajökull stratovolcano that took place in the year 2010 and is a reminder of the closeness of volcanoes and glaciers in Iceland. Truly a fantastic and unique start! 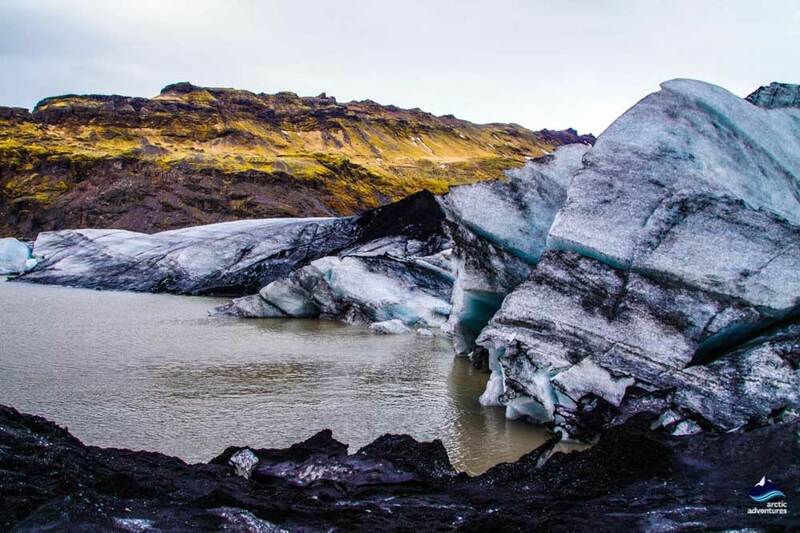 The Sólheimajökull glacier tongue originates at Mýrdalsjökull which is famously also the home to the volcano Katla. 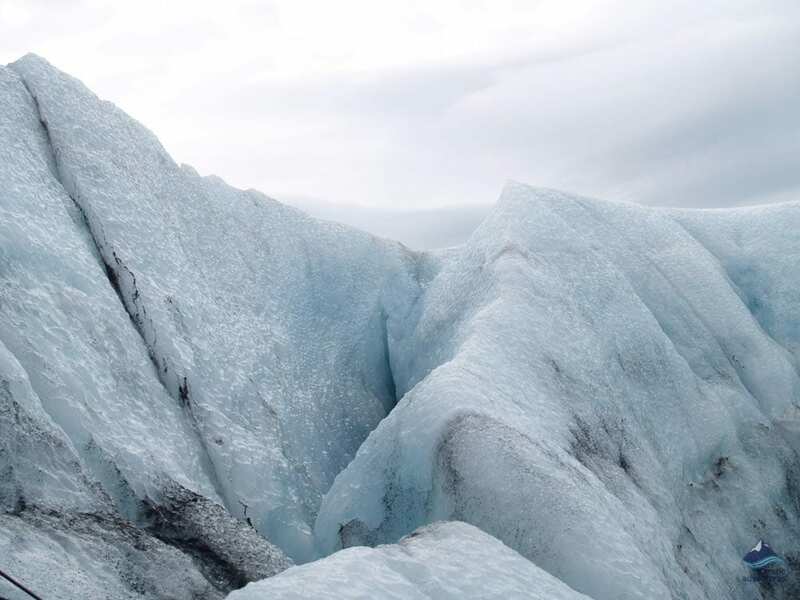 There is no doubt that the glacier is exquisite and the surrounding area as well. 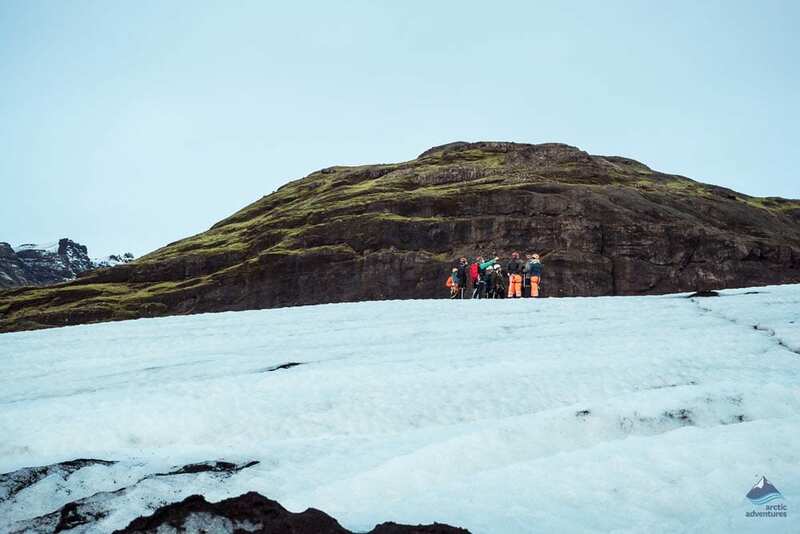 Your knowledgeable glacier guide will point out to you how the glacier is retreating and give you an interesting history and geology lesson to get you to understand the true magic of the glacier. 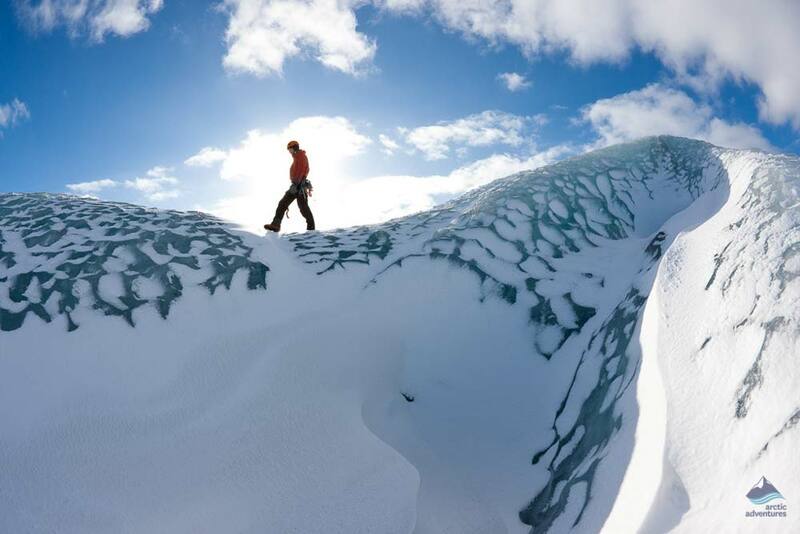 Right at the foothills of the glacier you will lace up our crampons and follow your guide to explore this otherworldly natural wonder; a rugged, raw and ever changing hub of ancient frozen water. 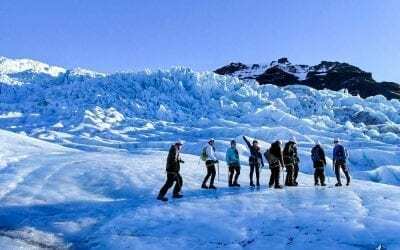 This glacier hike is an adventure like no other, and with the rapid rate of global climate change, this popular activity is only available in very few parts of the world. 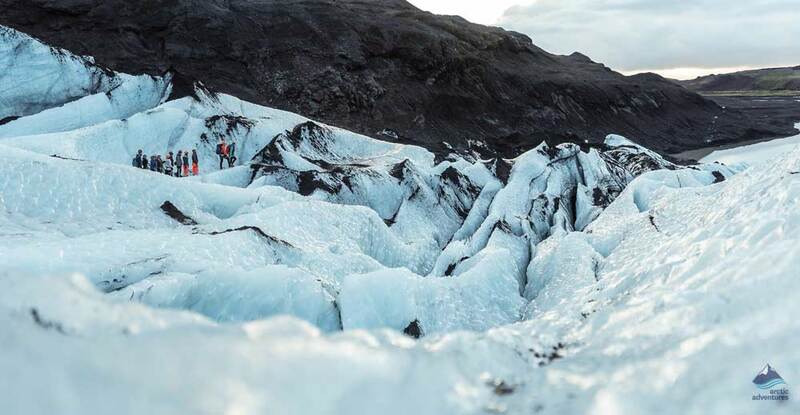 You will see how the primal elements shape and affect the glacier, creating mesmerizing labyrinths of ice ridges and deep V-shaped crevasses that crisscross and scar the surface of the ice. 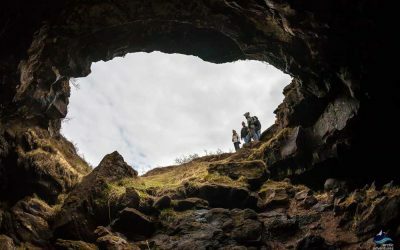 Not to mention the big sinkholes, called “moulins”, that sometimes have drilled their way through the glacier, draining the meltwater of the ice through little waterfalls and streams. 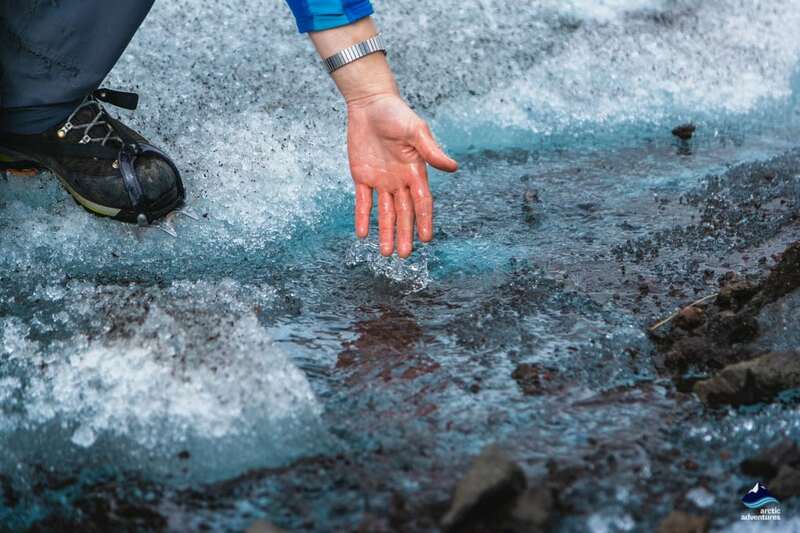 The glacier also carries with it ashes of volcanic eruptions from the distant and not so distant past, you might even be lucky enough to be able to collect a little sample of the Eyjafjalljökull volcanic ash from 2010. 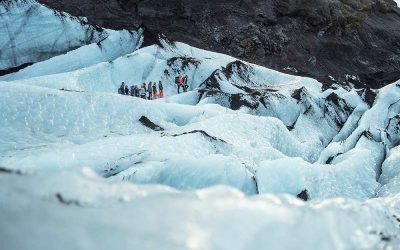 Add some adventure to your Iceland tour and explore an amazing crawling glacier, before it becomes inaccessible. 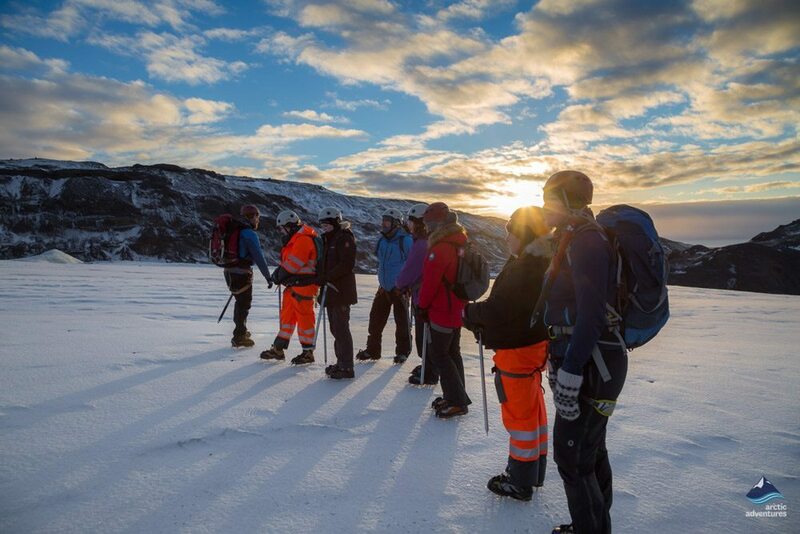 This tour is a meet on location only which means that you will have to meet us at Sólheimajökull Parking Lot. 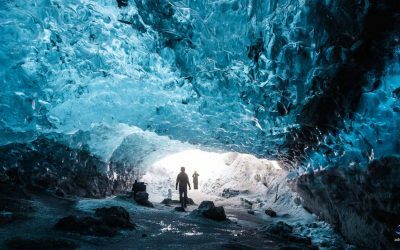 If you want a pick up from Reykjavík, please check out our Glacier Experience from Reykjavík or our Glacier & Waterfalls tour. Departure from Sólheimajökull Parking Lot. Distance from Reykjavik approx. 164 km / 101 mi. GPS 63°31’00.48″N, 19°22’00.12W(WGS84). 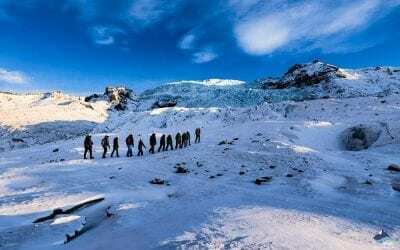 We took part in the 90 minute glacier hike up Sólheimajökull and it was well worth every cent we paid! Well organized and they even had pants, shoes etc for rent for those who did not have it. Very interactive and informative. One lady was not too confident and I witnessed them helping her which was very sweet. 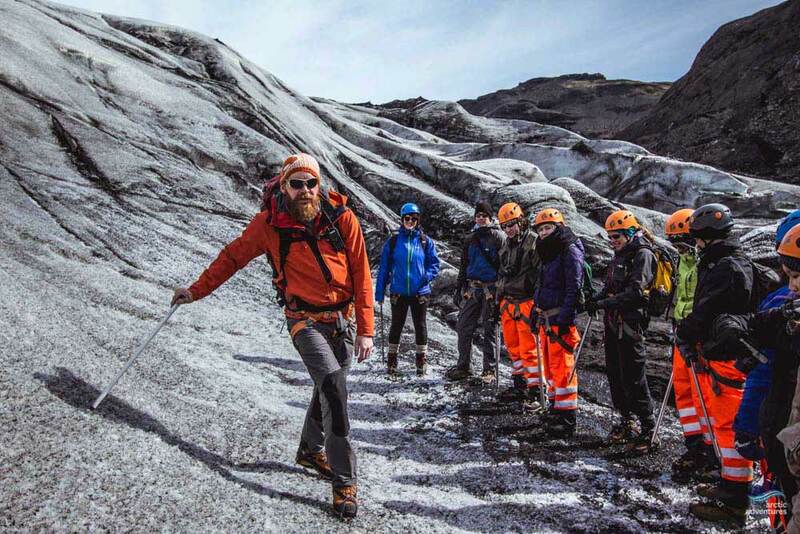 "Great Glacier Trip, ideal for families"
As our son is 11, we chose a short glacier trip and booked with Artic Adventues as their prices seemed the lowest of the various companies who were offering walks on Sólheimajökull. The tour was well organised and offered excellent value for money. 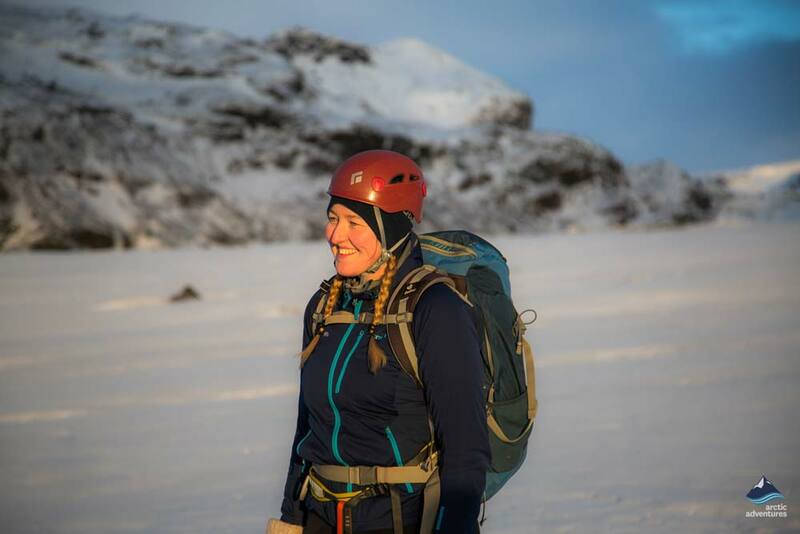 We were given full safety kit including helmets (saw other groups on the glacier bare headed). Josh, our guide, was excellent – he paced the group perfectly to ensure that we saw as much as possible without taking it too fast. 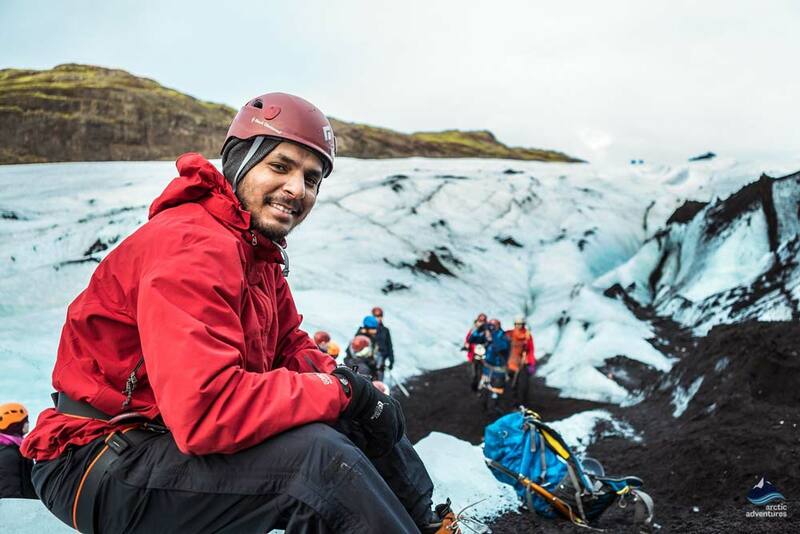 He was able to share lots of knowledge about the glacier itself and the rest of the local area. I can't recommend this tour highly enough. 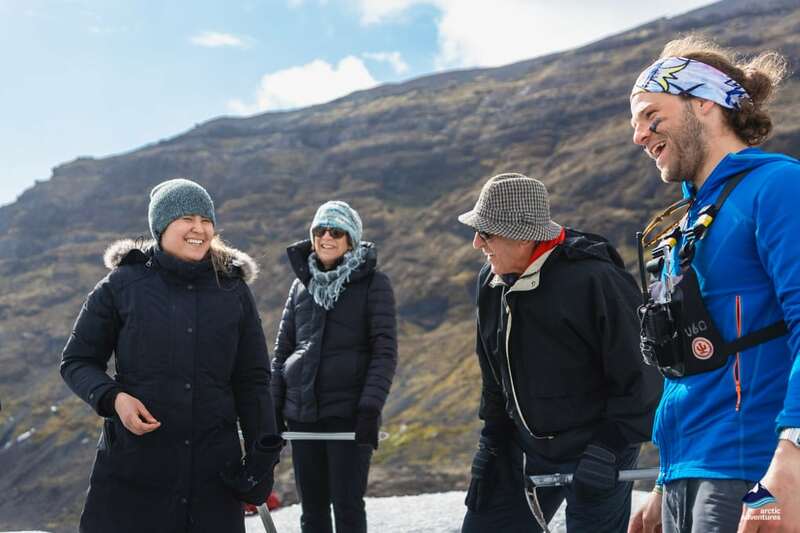 Unfortunately due to the weather our glacier trip was cancelled however our tour guide, Sven, was amazing and made the rest of the tour fun, enjoyable and memorable. Sven is the perfect tour guide and definitely an asset to the company! Thomas was a great guide, extremely knowledgeable about the area. 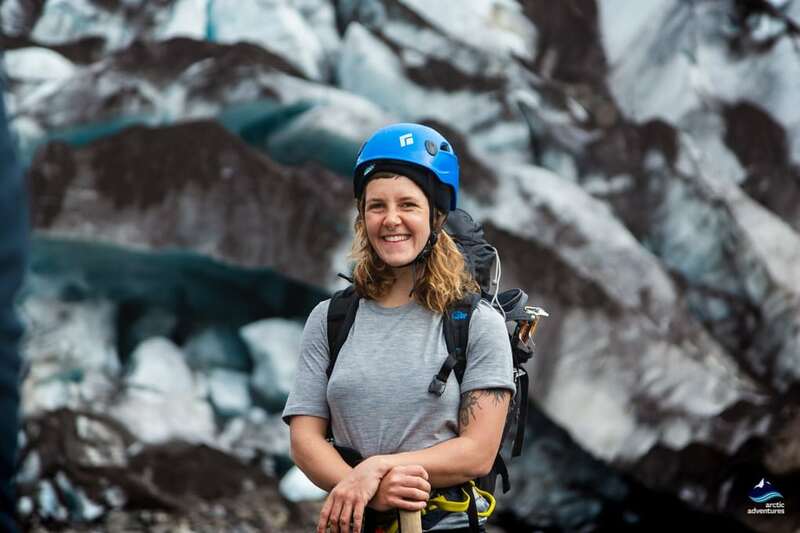 The Glacier Hike was cut short due to high winds but we appreciate the concern for our safety. The tour bus was nice and comfortable although the sound system was acting up which disrupted the stories and history quite a bit. The bus was on time at our bus stop and was very accommodating to the dropoffs as well. There was plenty of time given to each location as well as time to grab a bite to eat or bring your own lunch like we did. I would definitely use Arctic Adventures again. This was very well organised tour, beyond expectations We weren't sure what the glacier walk would entail and we really enjoyed it - it was a solid bit of exercise (1.5 hours on the ice with a 360ft total.climb) but it was.taken at an easy pace so it was thoroughly enjoyable. Over our three day visit to Iceland we jammed in several tours to get the flavour of this amazing country. 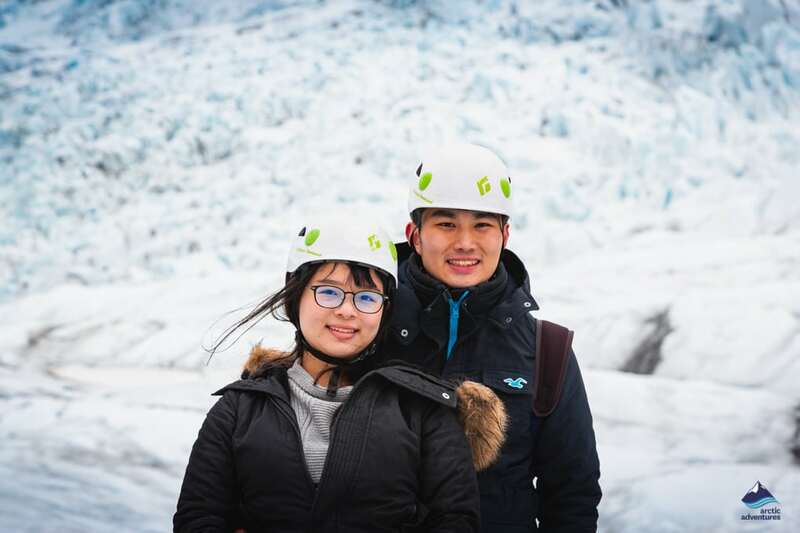 At the end of our trip, both of us agreed that our glacier hike was both the most demanding and the most rewarding. Our tour guide had to deal with varying abilities, look after our safety and fill us with knowledge on this amazing natural spectacle. He ticked all these boxes and he did it with a smile on his face from start to finish despite the poor weather conditions. A truly memorable, thought provoking day with a great bunch of people, led by an experienced and knowledgeable tour guide. 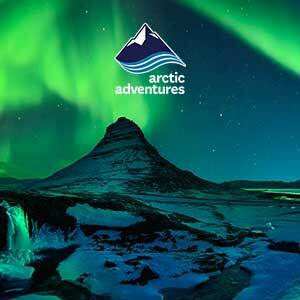 This was our only tour in Iceland and I'm so happy that my husband and I went with Arctic Adventures. Our guide was WONDERFUL!! 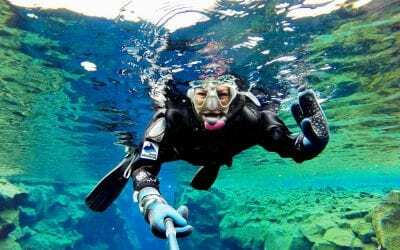 I have family and friends visiting Iceland in August and will absolutely refer this company. Do yourself a favor and do NOT miss this opportunity of a lifetime!! Thank you for such a memorable experience. We loved it!